Builders are David Reid, Seamus Whoriskey and Louis Bistrong in a class taught by Jeff Lane assisted by Fritz Fuller at the Essex Shipbuilding Museum in Essex, Massachusetts. 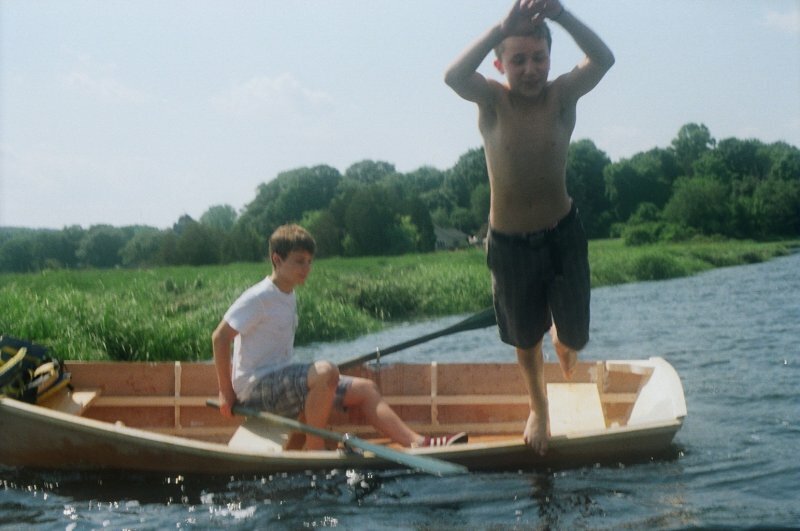 The Bevin's Skiff was built in three and a half days and is a great boat for the Essex River. It is being offered through a raffle.